These almond-topped filo mince pies are so pretty but really easy to make with little squares of filo pastry. Filo pastry gives them a lovely crispy texture as well. Another benefit of making mince pies with filo pastry is that it’s much lower in fat. These are my all time favourite mince pies. I always mix a diced granny smith apple with shop bought mincemeat because I find it too sweet. Adding flaked almonds gives extra texture and flavour too. 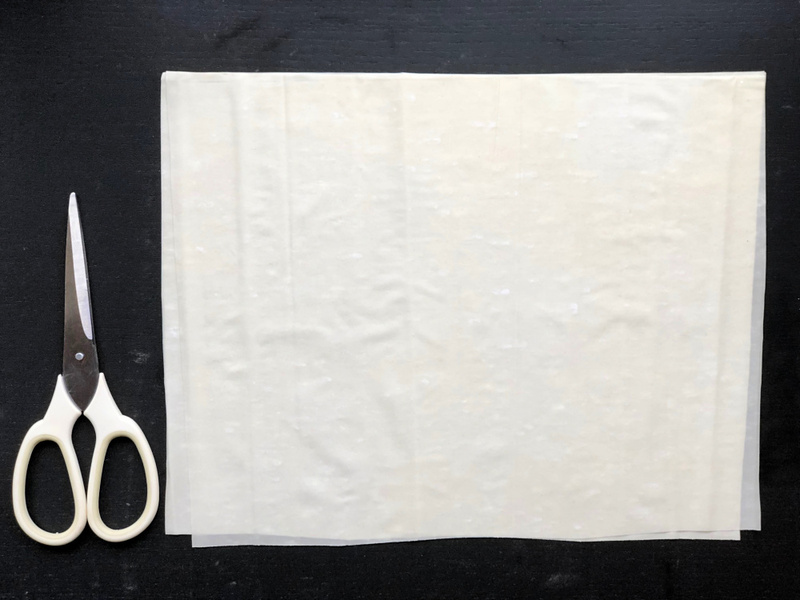 Scroll down for step by step photos of the assembling process of these filo mince pies. Preheat the oven to fan 180ºC / 200ºC / gas mark 6. Combine the mincemeat with the apple and HALF the flaked almonds. 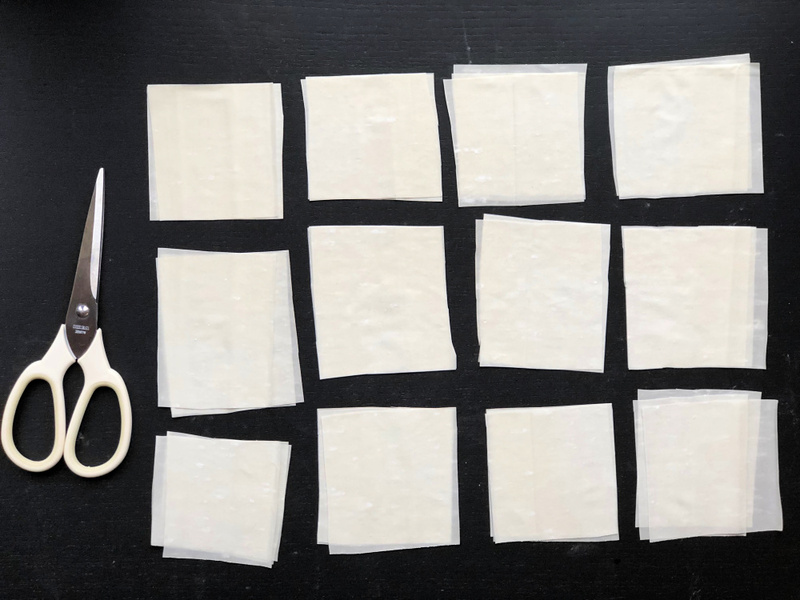 Lay the rectangular filo sheets on top of each other and cut into 12 squares, each square made up of 3 layers of filo. 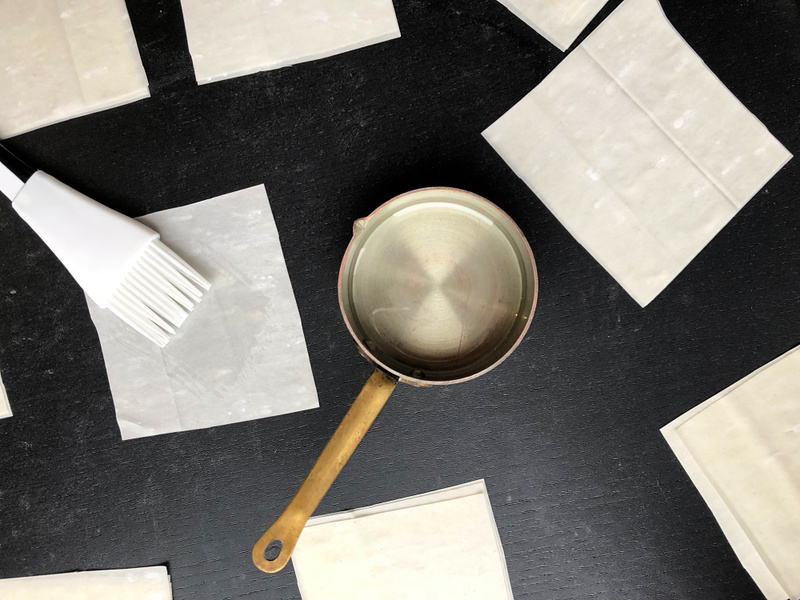 Layer the 3 squares of filo pastry in each stack on top of each other using a little vegetable oil between the layers to help them stick. 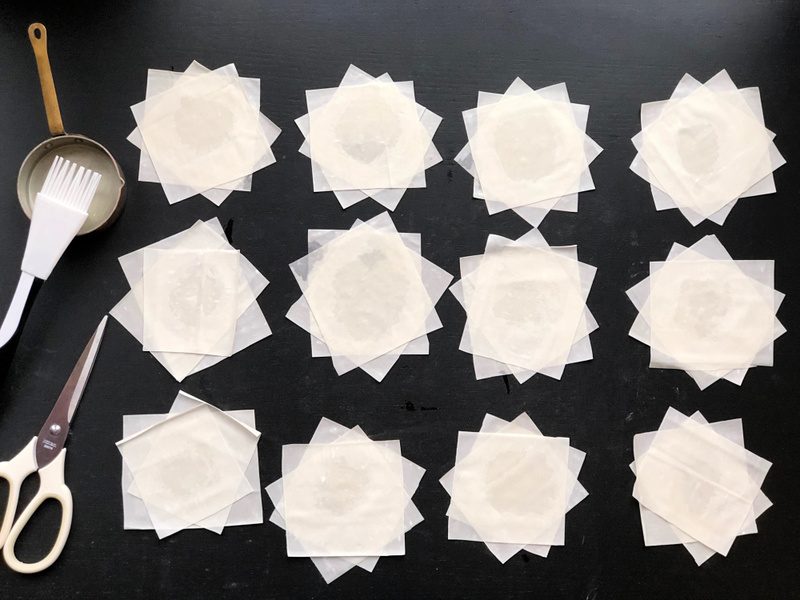 Put the sheets at different angles so you end up with a sort of 12 pointed star shape. 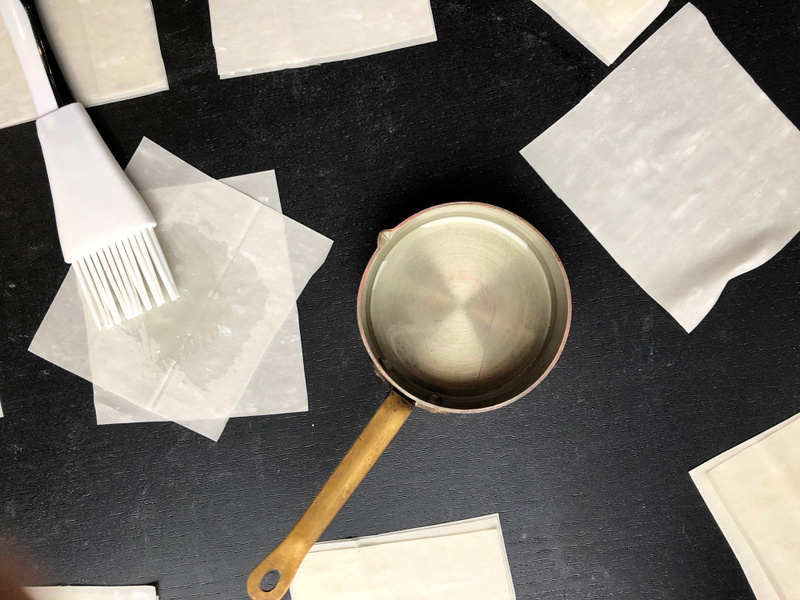 Lightly grease a 12 hole bun tin or muffin tin with a little oil. 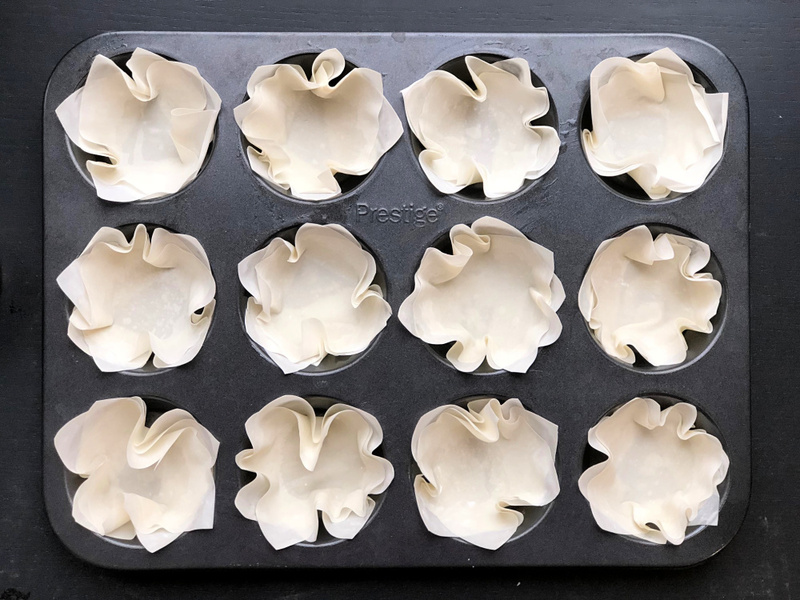 Carefully push each of the filo stars into the holes of the bun tin to make a little cup with the points of the filo pastry pointing upwards. Fill the filo star cups with the mincemeat mixture. Top evenly with the remaining flaked almonds. Bake for around 15-20 minutes until the pastry is cooked and golden brown. Leave to cool. Dredge with icing sugar to serve if you like.